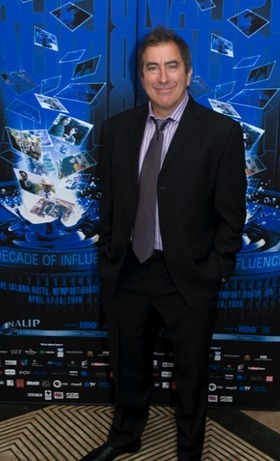 On April 18, the National Association of Latino Independent Producers (NALIP) held their 10th annual conference celebration in Newport Beach, CA. Look to the Stars got a chance to interview the legendary choreographer and director Kenny Ortega right before he was awarded for his achievements. 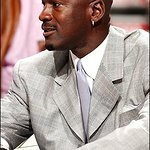 Among his more famous credits are Xanadu, Salsa, Dirty Dancing, the Cheetah Girls 2 and his crowning achievement of the past few years, all three of the High School Musical films. What does it mean to be honored by NALIP? It is an organization that works tirelessly to make a greater future potential for everyone in our community. It is a most prestigious company and I am honored to be here. What kind of hurdles did you encounter in your journey to success? There are so many obstacles that I wondered if I could really hurdle. There is a tremendous amount that you find yourself coming up against as child, as a growing man and even as an adult. I am glad that I have family and eventually supporters who told me to keep my imagination. It has also been important to be in a community with so many activists who care about us. They have done much to ensure that we have opportunities for all Latino artists. What words of encouragement would you give to aspiring filmmakers and other artists? First of all, you have to have a lot of heart. You have to have enough heart that no one can burn that fire out. Then I think it is so important to get an education. The more you know, the more you can draw from. Imagination, dream big, think big. You say that education is important. With your background in dance, can you elaborate on how certain subjects from grade school on make a difference? If you want to be a dancer or choreographer then you need to know math. I cannot tell you how important it is to understand math. It is a part of the whole rhythmic system of breaking down choreography and dance. A basic education is an absolute must. Look to the Stars is not only about social awareness but also charity. Kenny, what charities are near and dear to your heart? Make-A-Wish, Pediatric AIDS, and the Memorial Sloan-Kettering Hospital… but I am really active with Pediatric Aids and Make-A-Wish. In fact, Make-A-Wish honored me this year with a very beautiful plaque. I really love and believe and support the cause. I love the idea of enabling critically ill children opportunities to experience life situations that they might not be able to have because of their critical health. Thank you so much, Kenny. Congratulation on being honored tonight by NALIP.